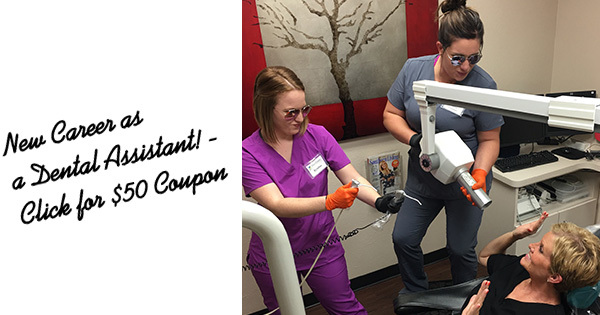 Want to become a dental assistant? Is your current job holding you back? The best way to predict your future is to create it yourself. So check out Texas Academy of Dental Assisting to start a new career putting tooth decay under arrest like these graduates! Congratulations to Brenyn on her recent graduation! We will miss her smiling face. Texas Academy of Dental Assisting truly does cherish all our students and we celebrate their success in this journey. Texas Academy of Dental Assisting wants to send all graduates from our morning and evening classes a big congratulations! We are so very excited for each one of their many accomplishments, and them venturing out to make a bright future! Are you ready to change your future? Take advantage of this opportunity and get a spot in our next Dental Assisting class while there is still room… Email or call us today! « Dental Assistant School Graduates!